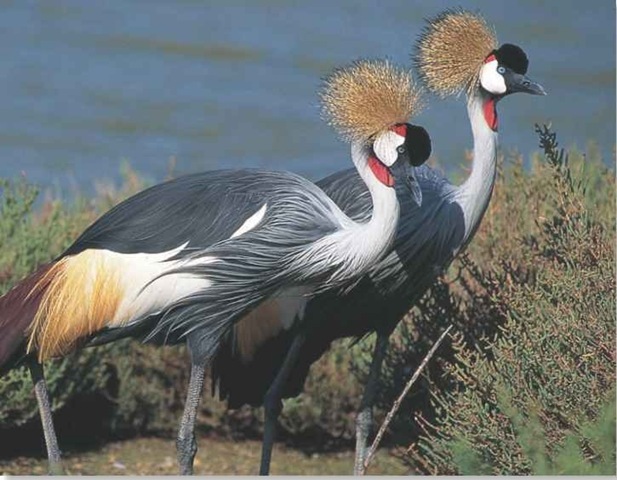 Birds are identified as endothermic vertebrates found in all habitats around the world. Its characteristics include; laying of hard-shelled eggs, strong but light skeleton, feathers, four chambered heart, toothless beaked jaws, and a high metabolic rate. Besides this similarity of features, birds differ in many other classifications. There are numerous species of birds worldwide. However, this paper will focus on only four namely; American Robin (Thrushes), Great Blue Heron (Herons), Double Crested Cormorant (Cormorants), and Wood Stork (Stork). This migratory songbird’s name was borrowed from the European Robin due to its reddish -orange breast. They are said to be Ubiquitous habitat generalists and can be found among human-made structures and in every type of woodland or forest throughout their range. They feed on earthworms, vegetation, snails, fruits, and insects. American Robins are evenly distributed worldwide. According to the continental concern score, the Red Robin is estimated to have a rate of 5 out of 20 ("American Robin Description"). This bird can easily be described as a fishing bird characterized by yellow-orange facial skin and brown-black feathers. They’re generalist and opportunistic feeders since they prey on various species of birds that are easy to catch. They are the most widespread species of cormorants in North America and are inclined to fresh waters (“U.S fish and wildlife Service”). This tall and large bodied wading bird is widespread in the southeastern swamps and is the only stork breeding in America. It’s a wetland specialist that feeds on fish in shallow waters. They are less uniformly distributed in North than South America. Their late winter breeding season coincides with the dry season in Florida when fish are concentrated in the shrinking water masses ("Wood Stork"). Great Blue Herons are common on open coasts, lakes, river banks, goldfish ponds, grasslands, freshwater and saltwater habitats. They are generalists in their habitat selection and are inclined to renest in the same area throughout the year. They mainly feed on fish and Gophers and are uniformly distributed throughout North America (“Great Blue Heron”).